More than 30 DJs and 2 bands reveal what it was really like seeking fame and fortune behind the microphone in the 1960s! 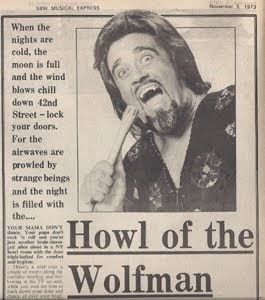 In addition to their stories, the series is dedicated to the infamous Wolfman Jack - learn about his early days and how his howwwlll got started. Available in Kindle/all eBook formats, paperback - black-and-white, and color (May 29, 2017). 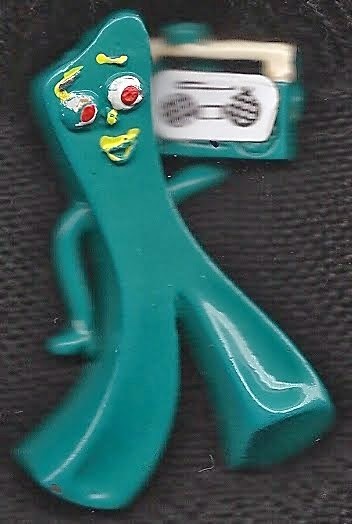 Look for sales on our Facebook site and/or follow on Twitter @BlastFromYourPastBk! Post an Amazon review or congratulate me personally, and your comments may become promo material! (So include a business link, if available.) Signed copies available here, soon. 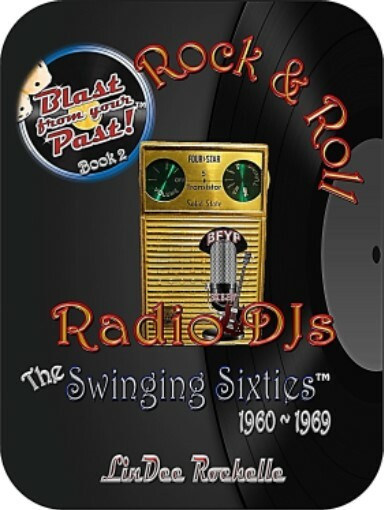 A sneak peek at BFYP Book 2 ~ Rock & Roll Radio DJs: The Swinging Sixties! 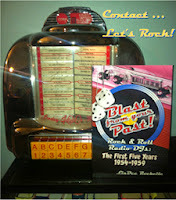 It's true ... Rock and Roll Rescued Radio™ in the mid-1950s. Blast from Your Past - Rock & Roll Radio DJs: the First Five Years 1954-1959 is Book 1 in a series tribute to the history and humor of rockin' radio DJs. Were you there? Reminisce! Sure you can grab it conveniently in eBook or print format at Amazon or pick up your SIGNED print book, here (or below). 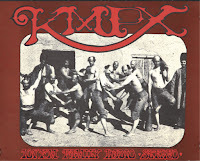 But first, learn more about the book and the Blast from Your Past series through its history and scroll below for a Book 1 Table of Contents, with a few excerpts linked for your reading pleasure. We are all the sum of our experiences and ancestors ... remember as you tackle your daily tasks to enjoy the past as much as the present. Our motto at BFYP: Enjoy the Moment ... Again! I guarantee you'll recognize at least a few of the early Rock Radio DJs who spun the platters and influenced our listening pleasure in the dawn of Rock & Roll, 1954 ~ 1959. 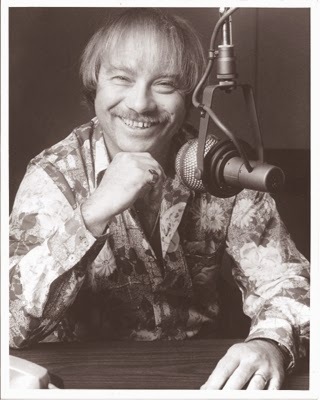 Like the happy guy on your right, Dr. Don Rose - infamous at KOIL/Omaha (late '50s), WFIL/Philadelphia ('60s-'70s), KFRC/San Francisco ('70s), and other Rockin' stations of yesteryear! BFYP Books 1 & 2 are here - Book 3: The Psychedelic Seventies due late 2018. Check out the links on DJs' names in Book 1 TOC below! 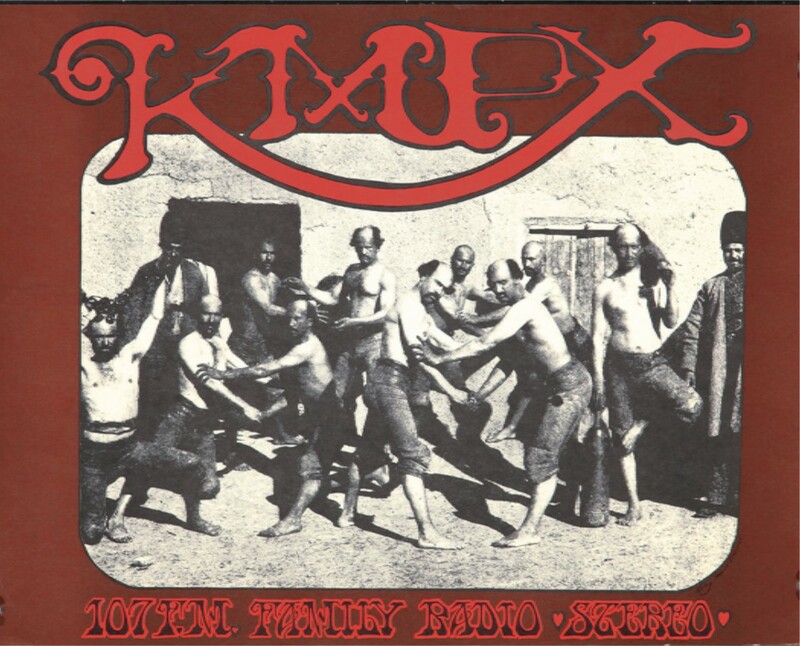 Full DJ excerpts from the book - enjoy! Glossary ~ What does that mean?! Remember When ~ Memory Test!